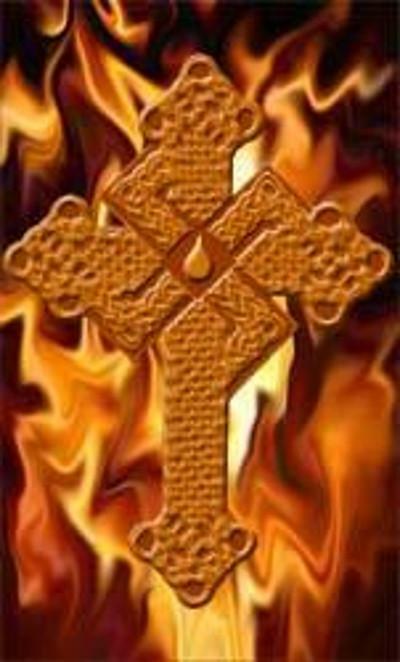 This is the Christogenea Media Sharing website. This is a semi-private website. There is no browsing encouraged here. If you have a link to content here, you received it from or saw it posted by one of our members. The purpose of this site is for Christogenea Forum members to store and share information that is not always easy to present or store and retrieve from the Forum itself. Read more about This is the Christogenea Media Sharing website. This is from an appearance by Andrew Anglin on a Talkshoe program called Iconoclast with a host named Paul Ironshore, in 2012. The dailystormer.com domain name was registered March 20th, 2013. After the 3-minute mark Andrew Anglin is heard to say "Mixed races will be a positive progression for everyone ... I think the White race should be bred out..."
This Dolly Parton skit with Jim Stafford certainly seems to be encouraging, or at least normalizing, pedophilia. First he says "you're just a girl", and later he wants to shove things down her dress. Other suggestions are even more provocative. We have long thought that Liberals suffer a mental disorder, as that is the only rational explanation for their embrace of aliens and their insistence on introducing racially and culturally disparate people into a society with which they have no common heritage, morals, or values, and then and commingling with them. Now there is proof. 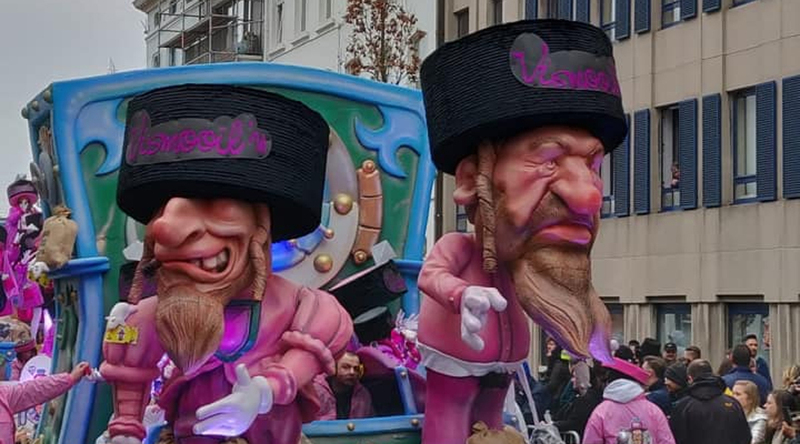 So some Belgians parody Jews at their annual Carnival, and the Jews are going nuts decrying the caricature. But how is this worse than the tripe which Jews in Hollywood and elsewhere have produced for years parodying Germans? Have they never heard of television shows such as Hogan's Heroes? In fact, most of the material put out by Jewish moviemakers portrays Whites in denigrating ways. You cannot reason with a sheboon, or with any Dindu. They do not understand humility, logic, and lack those and other attributes generally found in Whites, and Whites should not even attempt to project their own values and qualities onto these beasts. But when these beasts are counted as people, they acquire the protections and status which only people deserve, and the White man is bound to suffer for it at the hands of his own society. Here David Steven Bell, a working man and a father of two, probably bought himself a year or so in the slammer by trying to reason with a gaggle of sheboons. CLICK HERE to see the rest of Brother "Lyin" Ryan's wonderfully informative videos. Your browser is antiquated and does not support the video tag. Download the video instead by clicking here. Acting as if he is hanging on for dear life while reporting on the recent Hurricane Florence, this weatherman is revealed as a fraud as two men in the background stroll by rather casually, not even bothered by the winds. Typically liberal Yankees getting a good dose of cultural enrichment. It is something that we have always known, but the gentleman who put this video together demonstrates and proves it very well. We readily venture to assert that this is the result of perhaps the first generation of raising children on television. Mix some Transformers with My Little Pony, subtract the reality of playing outside or learning family crafts, and this is the end product: sick and disgusting filth in a know-nothing, do-nothing society whose members have forsaken children, family and real culture to live in a continual fantasy. Read more about A Pony Fetish Festival? Read more about Who's Tough on Immigration? Read more about Are Trump Fans Retarded? Read more about Who's Financing Donald Trump? Was the Parkland School Shooting a False Flag? So there was a drill at the school the day of the shooting? And were the drill circumstances then used to purposely convince gullible young students that a real shooting then occurred? Why do so many of these alleged school shootings seem to occur at the same time that drills are orchestrated by law enforcement, either in the vicinity or right at the shooting location itself? We are convinced that the rash of recent school shootings are only a psy-op being carried out to pare down the resolve of Americans to defend their basic rights. Read more about Was the Parkland School Shooting a False Flag? The so-called professor, Albert Ponce, is a member of the Political Science department on the faculty of the appropriately-named Diablo Valley College, at its Pleasant Hills campus. Here he rails against the very system which he earns his living from, acting as a diabolical parasite on the body of White Christian America. As he does so, he blatantly lies about history in order to support his anti-White agenda. His "work" has gotten positive exposure in the Leftist press, and is especially promoted by the Marxist and publicly funded parasitical ageny National Public Radio (NPR). We are pleased that so many of these beasts are coming out from under the gutters to express their true feelings. This brings us closer to the day when we can eliminate them completely, something which our ancestors should have done, and failed. See more at the Facebook page Film Your Marxist Professor. This report reviews MLK's activities as well as his sources of funding, and the last two pages concern his sexual perversions. What Happened to Roy Moore's Lead? Read more about What Happened to Roy Moore's Lead? David Cameron in 56 seconds of a secret meeting all True Brits should watch. Read more about David Cameron in 56 seconds of a secret meeting all True Brits should watch. The anti-Christ whore Sarah Silverman asks turncoat Christian Picciolini what he hears when he hears “the leaders of our nation speaking.” This is from a November 16 episode with Picciolini, a supposed former neo-Nazi turned "peace advocate". David Duke with an Apefrican called "Tommy Sotomayor"